Since the 1950s there have been advanced practice nurses caring for people and communities in various rural and remote settings in Canada. These nurses have been known to many rural Canadians as regional nurses, outpost nurses and community health nurses. Many have had additional training to do their jobs and provided the bulk of primary health care in remote and isolated settings. Back in the 1970s, Nurse Practitioners (NPs) were seen as a way to address the lack of doctors in remote and rural areas. Registered nurses were given extended training to provide health care to communities that only had a visiting doctor. 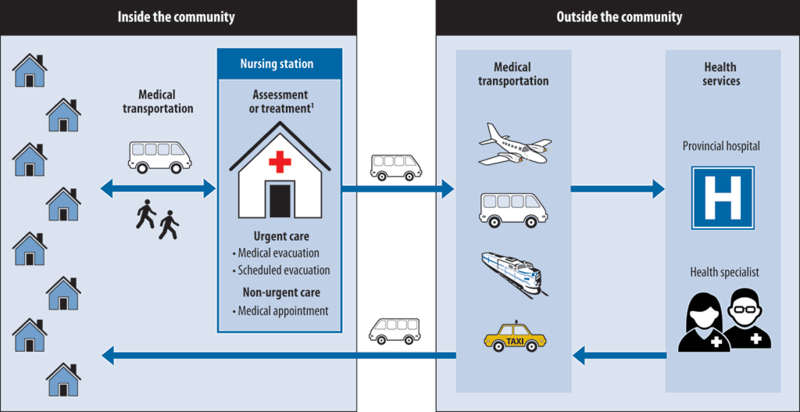 In remote communities physicians would fly in periodically, but the rest of the time the community would work with NPs for their health needs. Primary health care was largely the responsibility of the NP. As a result of the work these nurses have been doing for all these years, provincial and territorial governments along with nurses and their associations are making an effort to define advanced practice. They want to give it a common name and set standards for additional education and training, as well as find ways to provide support for nurses in the advanced practice role. At the same time, it is recognized that NPs can contribute more fully in primary health care everywhere in Canada and help give people access to health care and reduce waiting times.